The Centers for Disease Control and Prevention recommends people aged 65 and older engage in at least 150 minutes of moderate-intensity or 75 minutes of high-intensity endurance exercise per week along with muscle-strength training at least two times per week. Too often, health care providers simply tell their patients to exercise without providing these specifics. 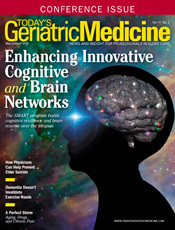 In addition, the extent to which these recommendations apply to frail older adults and those with neurological diseases such as Parkinson's disease is less clear. Nearly 10 million people worldwide live with Parkinson's disease. With no known cure for the disease, providers and patients use a multitude of treatments including medication and deep brain stimulation to manage symptoms and slow disease progression. One of the most important treatments for this population is exercise, which has significant therapeutic benefit. Our recent research has shown that six months of high-intensity endurance exercise reduces the rate at which the symptoms of Parkinson's disease progress. High-intensity exercise was defined as exercising at 80% to 85% of one's maximum heart rate. Participants in the study walked or ran on a treadmill for 30 minutes four times per week. In order to reach 80% to 85% maximum heart rate, participants increased either the treadmill speed or incline. Each exercise session began with a five-minute warm-up to acclimatize the body and concluded with a five-minute cool-down. At the end of six months, participants who exercised at 80% to 85% showed no changes in Parkinson's symptoms while those who exercised at a lower intensity (60% to 65% of their maximum heart rate) had an increase in symptoms. Those who were randomized to a no-exercise control group had the largest increase in symptoms. The participants in this study were not taking medication at the start of the study, but the results of the study should apply to people who are taking medication. We studied patients not taking medication to ensure our findings were due to exercise and not to the effects of medication. When prescribing exercise, health care providers should consider exercise akin to medication and provide a specific dose to their patients. This exercise prescription should include the specific types of activities, the frequency, intensity, and duration. It should also discuss managing the potential side effects of exercise (soreness, pain, discomfort, and/or shortness of breath). One important lesson learned from the study was that it is necessary to schedule four sessions of exercise in order for participants to exercise three times. Vacations, appointments, and sickness all conspire to make it difficult to meet a target of three times per week. It is important to note that muscle-strength training has also shown benefit, and loss of muscle strength is a normal part of aging and can occur pathologically in conditions like frailty. The key fact to note is that although endurance exercise is most often linked to cardiovascular health and muscle-strength training to skeletal muscle health, both forms of exercise have shown clear benefits for sleep, mood, and cognition. Key intra- and interpersonal enablers of exercise adherence are enjoyment, knowledge about benefits of exercise, self-efficacy, and having a supportive social network. These elements should also be considered in an exercise prescription. For individuals who want to fully maximize the health and disease prevention benefits, effect disease symptom modification, and alter disease progression, there are advantages to developing a lifestyle that includes high-intensity endurance exercise, resistance exercise in which the resistance is progressively increased, and balance exercises. At the end of the day, health care providers can point out that their older adult patients have three choices in life. The first is to be sedentary and passively allow time to take its inevitable toll. The second is to exercise in a way older adults enjoy the most. This may or may not provide older adults with the optimal health benefit. The third is to follow those exercise regimens that have been clearly shown to have the best health-related benefits. Certainly, for some older adults, supervision might be needed to help reach higher exercise intensity and at the initiation of exercise. However, the proliferation of devices that monitor heart rate and activity levels has simplified self-monitoring of exercise routines. Now is the time to let your patients know: Exercise is good and vigorous exercise is even better. — Daniel M. Corcos, PhD, is a professor at Northwestern University Feinberg School of Medicine, department of physical therapy and human movement sciences. — Margaret Danilovich, PhD, PT, DPT, GCS, is an assistant professor at Northwestern University Feinberg School of Medicine, department of physical therapy and human movement sciences.